The Music of Tomb Raider: Jason Graves not returning as composer for Rise of the Tomb Raider, but new Lara theme is. New composer to be revealed and a Rise of the Tomb Raider soundtrack CD release likely. 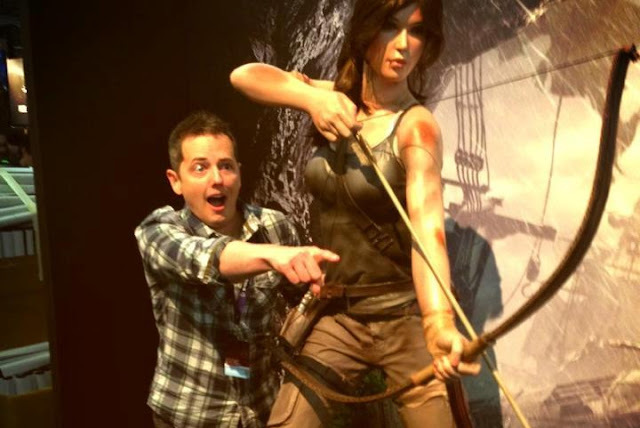 Jason Graves not returning as composer for Rise of the Tomb Raider, but new Lara theme is. New composer to be revealed and a Rise of the Tomb Raider soundtrack CD release likely. Meagan Marie: "Jason [...] is not involved. But we don’t have any announcement for who the new composer is. I’m sure we’ll blow it out when we do." Meagan Marie: "I think that the answer to that is we know how much fans love music, and that you guys loved the CD last time, so I would expect we’ll do something very similar. That’s not a formal announcement, but we’re definitely looking into options and we’ll let you know as soon as we have details." Noah Hughes: "I should clarify then in that context that I really enjoyed working with Jason and I think we’d enjoy working together again, so it was something where we very much respected each other’s work. This was more a decision about this game being an evolution of the last game, and really trying to capture a new personality, so part of it was saying from the ground up that if we want to score this experience, how can we best show this transition in Lara’s character?" Noah Hughes: "Yeah that is fair to say that we really loved the theme work that Jason helped us establish with the reboot, and so we like themes as a style of scoring the game. We try to make sure those themes take on the tone and emotion of the moment so they are very portable but we do work with common themes to help get that sense of identity." Thus Graves leaves his mark on the franchise with the continuity of his wonderfully crafted thematic motif for the reboot. Much like the original Tomb Raider composer Nathan McCree, his legacy may hold fast in the sequential franchise instalments to come. We wish the composer the best in his future endeavours.